Incredible foliage is wine/burgundy colored - especially on the new growth. Probably has the best looking foliage of all the crape myrtles. 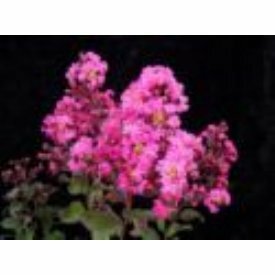 Blooms are bright pink....an excellent combination with the darker foliage of this plant. This one has been a top seller ever since it's introduction.